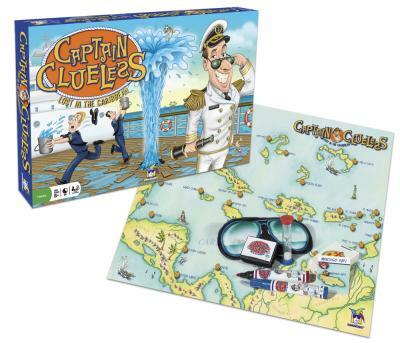 Set a course for high seas hilarity aboard this party game that puts you behind the rose-colored sunglasses of Captain R. U. Clueless â€“ the worldâ€™s most oblivious cruise ship captain. While blindfolded, try to navigate a clear route to your chosen Caribbean port without running into land or running out of time. Your teammates can help guide you but with only a limited number of clues! 0The first team to reach their final destination wins. Bon Voyage!